October Box Top winners – Ms. Burk’s and Ms. Faletti’s Cougar Connections! 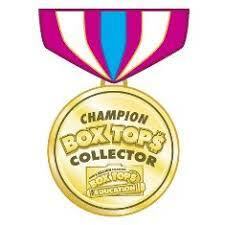 Congratulations to the winners of the October Box Tops contest! Ms. Burke’s 6th Grade Cougar Connections class and Ms. Faletti’s 7th Grade Cougar Connections class each won snacks for their classes for turning in the most Box Tops for their grades! Win the November contest for your Cougar Connections class by clipping and bringing in un-expired Box Tops in baggies or envelopes with the number of Tops and the name of your Cougar Connections teacher clearly written on the baggie or envelope!